A win over the only team who could challenge them for the title, and with only ten men for much of the game, gave the Young Lions their second successive National League Under-19 Alliance divisional title. The Guiseley side drew a good crowd to Nethermoor to back them in their bid to kill off the title challenge from South Shields and seal the title for themselves. Dave Currie’s side have battled with injuries all season but once again the lads out on the pitch gave a gritty and defiant display to battle on with ten men following Luke Hogg’s dismissal in the first-half. The sending off saw Guiseley with their backs to the wall for a spell after having made a good start and creating a number of chances but failing to apply the finishing touch. Striker Keiron Ceesay went down injured a couple of times before eventually leaving the field to be replaced by Rafael Ferreira Marques before the sending off. Guiseley thought that they had made the breakthrough when Adam Haw had the ball in the net but the goal was disallowed for off-side. It then became an uphill battle for Guiseley against a physical South Shields side who were thwarted by some excellent saves from Declan Lambton. With skipper Aleks Starcenko driving them on from midfield and full-backs Nathan Newall, currently on trial with Leeds United, and Nick Brayshaw putting in solid displays Guiseley pushed on and late in the game they were rewarded with the winning goal. This was after Tabish Hussain had wriggled his way into the penalty area to get a shot in which the ‘keeper saved. The injured Hussain then went off to be replaced by Robbie Fox who became the hero by drilling the ball into the net following good work by winger Adam Haw, who had a good game, constantly on the attack and trying to create things. In the closing stages Guiseley kept the pressure on with Starcenko twice going close to scoring. The Guiseley team battled hard against all the odds to win the title with one game left to play. They have won 17 of the 19 league games played and have a goal difference of 65. 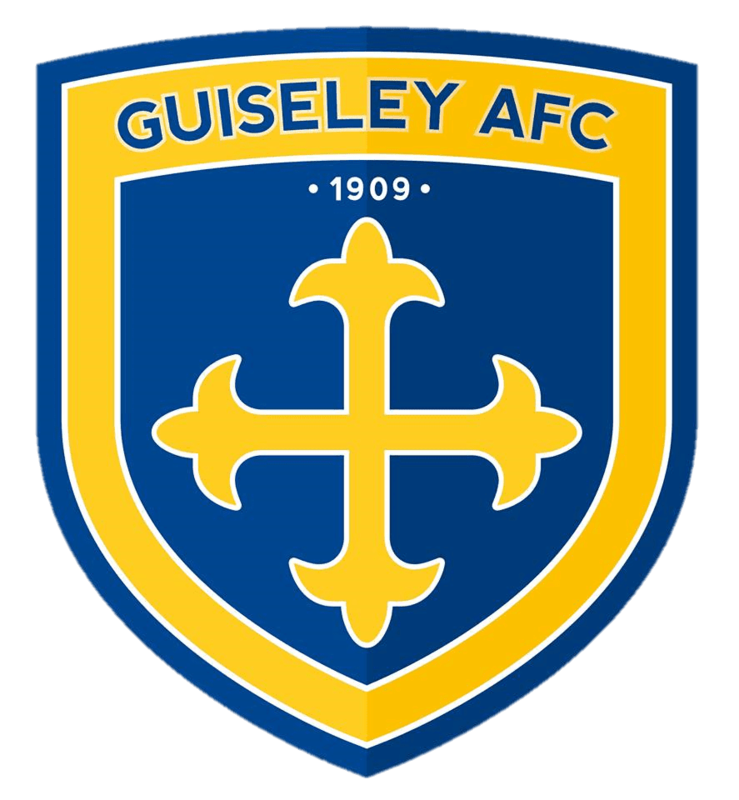 Guiseley: Declan Lambton; Nick Brayshaw, Luke Hogg, Lewis Waddington, Nathan Newall; Tabish Hussain (Robbie Fox), Joe Webster, Aleks Starcenko, Jack Lazenby (Mustapha Coker), Kieron Ceesay (Rafael Ferreira Marquez), Adam Haw (Akram Aliyu). 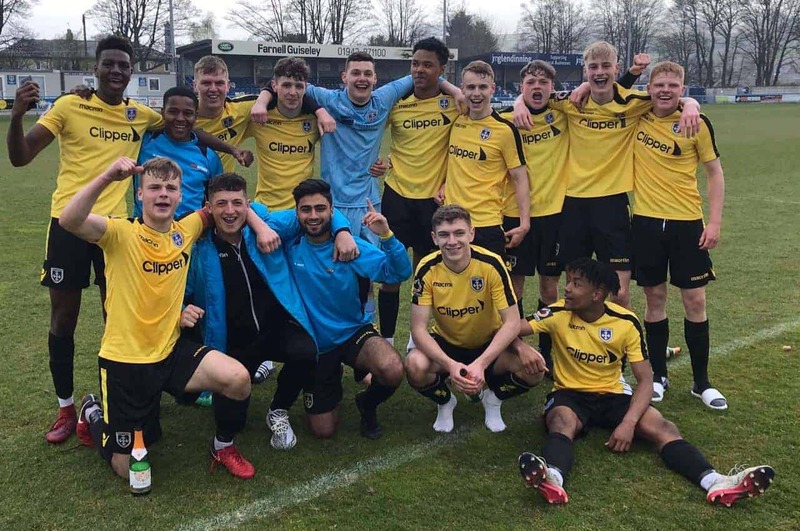 Guiseley U-19s, back row, left to right – Mustapha Coker, Akram Aliyu, Joe Webster, Nick Brayshaw, Declan Lambton, Kieron Ceesay, Lewis Waddington, Adam Haw, Robbie Fox, Nathan Newall. Front, left to right – Aleks Starcenko (captain), Luke Hogg, Tabish Hussain, Jack Lazenby, Rafael Marques Ferreira.